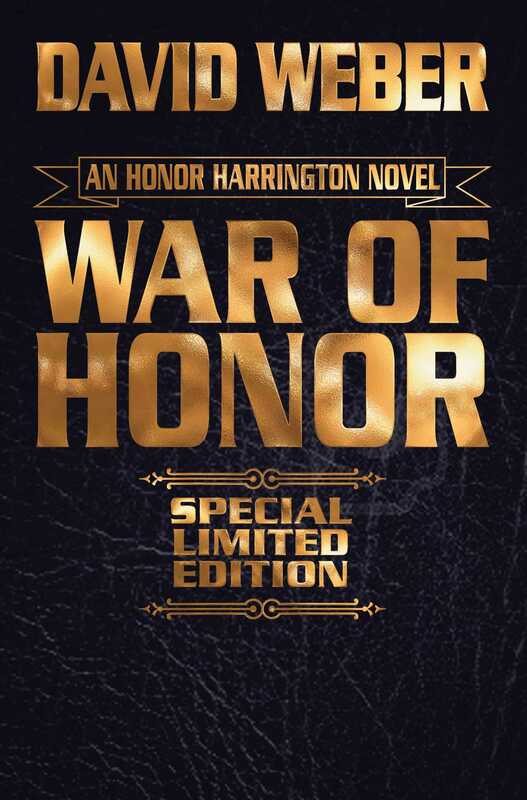 The Honor Harrington saga continues in War of Honor, book ten in the acclaimed Honor Harrington series, available in a signed limited leatherbound edition for the first time. David Weber is a master of science fiction, with over 8 million books in print and 30 New York Times Bestsellers. His Honor Harrington series is a landmark in modern military science fiction, with over 4 million books in print. Now, Baen Books is proud to offer a leatherbound edition, limited to 1,000 copies, of the eighth book in this groundbreaking series, signed by the author. To date, all previous Honor Harrington novels reissued in this format have sold out, with secondhand copies commanding top dollar in the collectible market.